This ASD Facility has four classrooms that are orientated around a central activity area at the centre of the building. A single storey circulation corridor wraps around the central activity space allowing access to the classrooms without interfering with the use of the central space. This was one of the first educational projects to commence under the new Building Control (Amendment) Regulations (BC(A)R). O’Leary Sludds Architects as a registered architectural practice we appointed for the roles of Design & Assigned Certifiers. As a refurbishment, re-organisation & extension project to an existing national school, the school Board of Management required four additional classrooms, resource room, learning support, a large General Purpose (GP) room & relocation of the main entrance & reception area for security purposes. Given the site constraints, the Department of Education & Skills (DoES) accepted our proposal to build a two storey extension in order to maximise the size of the schools existing play areas. 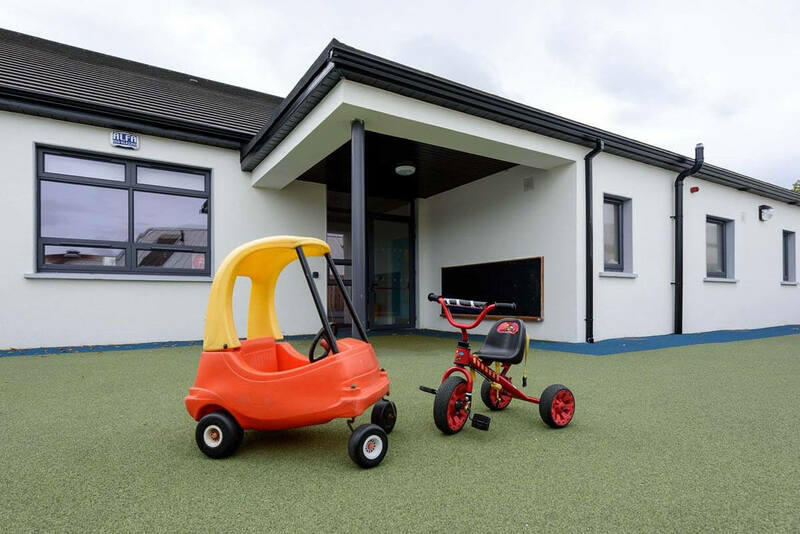 A Preschool Autism Spectrum Disorder (ASD) facility completed in 2016, for which O’Leary Sludds Architects was the Consultant Architect, the Design Team Lead and Project Supervisor Design Process (PSDP). 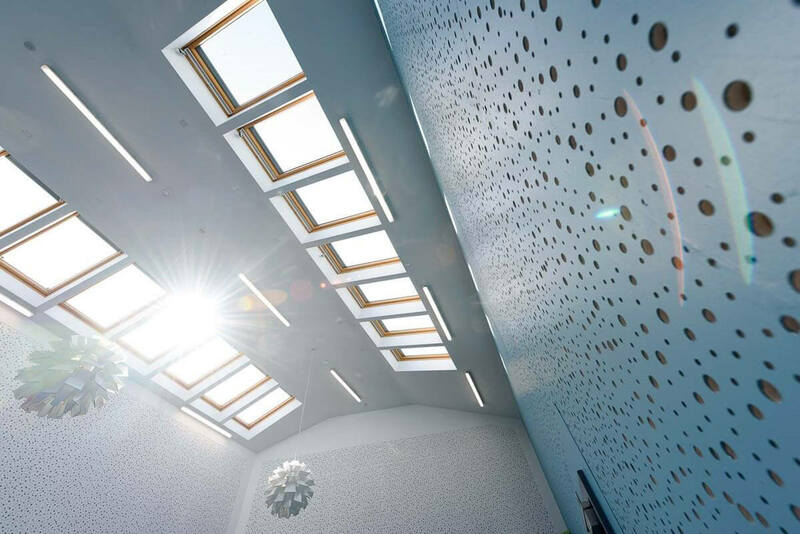 The brief for the facility included a central activity area and the key to the design was using this area as the connection piece between the existing school and new extension. The central activity area doubles as the school’s general purpose room and, therefore encourages integration and reverse integration between the students.